Description: POV driving in a downtown Paducah Texas business district. 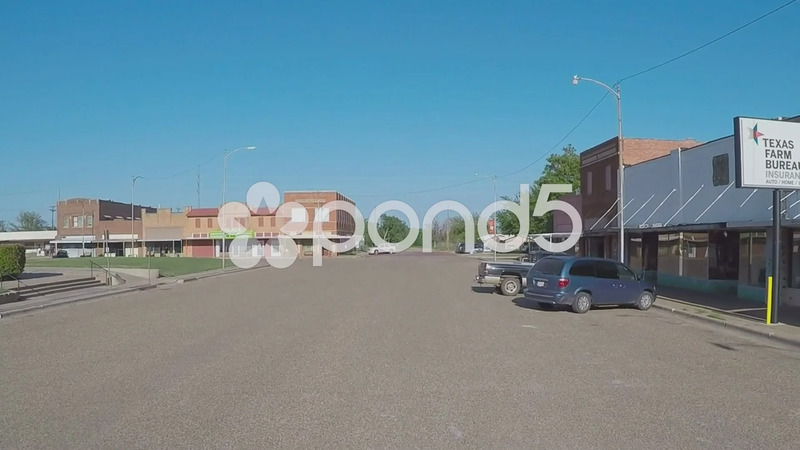 Point of view of driver heading through a rural town with small businesses. Part of a series of clips by ChromaVid featuring point of view driving vehicle shots.